I’m writing this piece because I have writer’s block. Well… I’m also teaching my kids how to write, so this has been crowding up my brain lately. I’ll never forget that short essay on diction I wrote at the ripe young age of 15 for Mr. Ferguson’s AP English Language class. I remember thinking it was the worst essay I’d ever written. He asked us to write about all the various words used in this excerpt he’d given us and how it influenced the tone of the piece. I had no clue what to say, but I had to write something, so that’s exactly what I did. I made stuff up. My arguments felt like a rubber band, stretching to the point of absurdity. Either the band would snap in my face or crumble in my teachers hand. I gave it my best effort, employing my best vocabulary and grammar techniques, but I still felt like I had written a load of waffle. I was rather dismayed the next day to find copies of my essay on every desk in the classroom with my name blacked out. I sat in a state of disbelief, as my friends stole covert glances my direction. They, of course, recognized my handwriting. My friend Dennis tapped me on the shoulder and said, “this is yours, isn’t it?” I nodded, still numb with shock. Once the bell rang, Mr. Ferguson asked everyone to read the paper in front of them, noting that this was exactly what we’d be required to do on an AP test and this example would merit high marks. Lest you think I was some star student, He did this with other student’s essays when we analyzed the various aspects of English language… mine just happened to be the first in the series. Even if you are NOT a writer, there will be times (especially as Christians) when we must be able to articulate our thoughts effectively. So let’s build some good habits and FIGHT THE BLOCK. How do we become better writers/teachers/presenters? Use a physical book, type notes in a laptop, or tap it into your smart phone. color in one of those coloring books for grown ups. Inhale some peppermint or rosemary essential oils. Peppermint is purported to both stimulate and focus the mind. Rosemary is supposed to aid in memory recall. Now that you’re all freshened up, sit back down at your desk and just write already! If you have a topic and don’t know where to begin, get a white board or unlined sheet of paper scribble out some of your ideas. Don’t worry about spelling or grammar, just spit it out. Put your topic in a circle in the middle and start making branches with points and related ideas. Most papers/articles/presentations have certain formatting rules. If you are paralyzed by those, don’t be. If you’re stuck with writer’s block and you’re on a deadline, just write without rules for the moment. Let the thoughts hit the paper the way they sound in your head until you’ve got a full page or more. Now, go back and edit it according the formatting rules. The concepts are on paper, they just need to be reworked for the constrains of your format. Anyway, when I’m stuck on a subject, I find somebody to talk to. My mom and dad are great listeners and allow me to blather on about whatever I’m stuck on. Often, they have good insights or ask me to explain further. Sometimes, I’ll even bounce ideas off of my children. They are awesome helpers because I have to craft my explanation at their level. As Einstein said, “If you can’t explain it to a six-year-old, you don’t understand it yourself.” Preach! This is stimulus. It’s excellent for the stopped up brain. What if there isn’t anyone available at the moment? Maybe your roommate is asleep in your dorm room. Maybe your spouse is out cold. Maybe it’s the wee small hours of the morning and everyone you know in the world is sound asleep. Don’t wake them up or make phone calls—you like having friends, don’t you? Find a place you can talk out loud and pretend you’re explaining that subject to an interested party over coffee. Talk about it, imagine their replies. Yup, you probably think I’m nuts. I just told you to have imaginary dialogue. Lucy Maud Montgomery—author of the beloved Anne of Green Gables—purportedly talked to herself quite often. She wasn’t crazy—she was playing out dialogues and hearing how they would sound if spoken. Plenty of great authors talk to themselves. Presenters practice in front of a mirror. It’s ok to speak your ideas aloud alone to nobody in particular; it’s a good kind of crazy. Most great writers are great readers. You want stimulus? Read good books. You want to ask the right questions? Be a reader asking questions. Reading is not a passive activity. In reading you are asking yourself what the author’s next point will be, what new surprise lies around the page, or what a description looks like in your head. If you want to be a good writer, be a good reader. Have you ever read a book where the sentences feel contrived? What I mean is, do you ever feel like an author’s whole purpose isn’t so much in telling a good story or conveying important ideas, but just to be famously quoted? To tell the truth, every author contrives their sentences, but there are some that seem to write only for quotability. They want to be twitterized and meme-o-rized and I don’t know what. Don’t forget why you’re writing in the first place. If you are writing for your own glory you will likely be forgotten. I have kept this in my mind while writing. I do engage in sentence crafting and I do go for the quote (on occasion), but that is NOT where I begin. I begin with the why. When I edit, I try to make music with the words. If they are quotable, great. If they are not quotable, but the message impacted someone (even if it’s just myself), then it was a good piece. 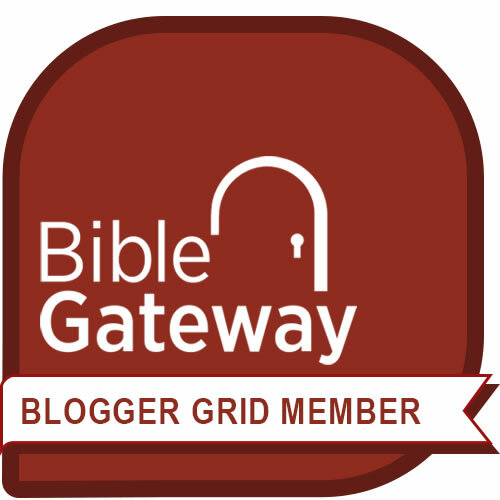 I started blogging about the Bible and Christian issues for several reasons, one of which was to help me meditate on the Word. I work harder and explain with more clarity when I have to make the effort to help someone understand. It’s been awesome. So, now that I’ve inspired you to change the world with your keyboard and pen, get out there and JUST WRITE ALREADY! Awesome! Those are all fabulous ideas. I chuckled about your erudite essay. I remember, teachers used to really love that kind of thing, but today it’s a style I avoid reading. That’s my worst criticism, I groan and think, “uhg, so erudite.” Unless it’s funny and you’re mocking “the erudite,” which I really enjoy. I try not to over-erudite my work. I did plenty of that in high school and college. It was excellent training, and I am grateful for it, I’m like you… sometimes it’s overdone. Elihu, Great tips! I agree with them. And I’m going to show my husband tip #5 because I do the same thing to him! He’ll get a kick of it. I’m curious about a few things. Have gone to a writers conference? And what other writing do you do other than this wonderful blog? As for a writer’s conference, it is on my wish list, but I have never actually been to one. If things go according to plan this fall I might be able to swing it in 2018. I just have to see what God has planned around this next bend in the road. At the moment, this blog is my only public forum for writing. I have a few ideas churning for a fiction novel and I have one non-fiction work outlined, but I’ve only written the prologue. I’ve been thinking that fiction might be the best vehicle for conveying spiritual truths that stick, but it’s all still in the concept stage. Thank you for your continuous encouragement, Beckie! 😀 God be with you!